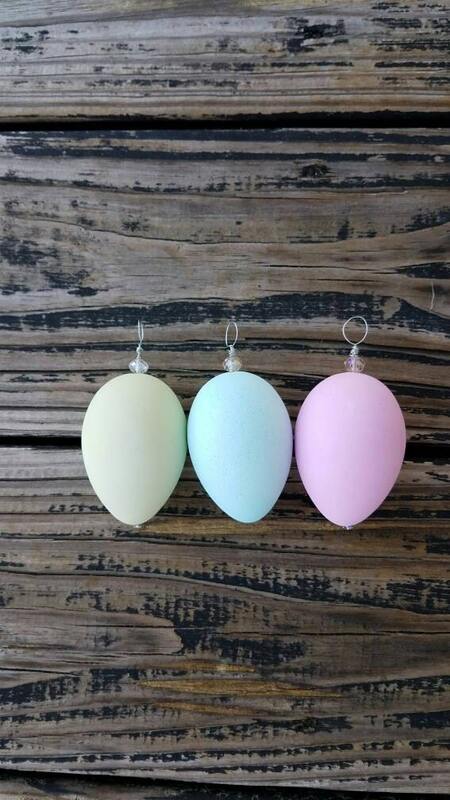 You will receive 3 egg ornaments. 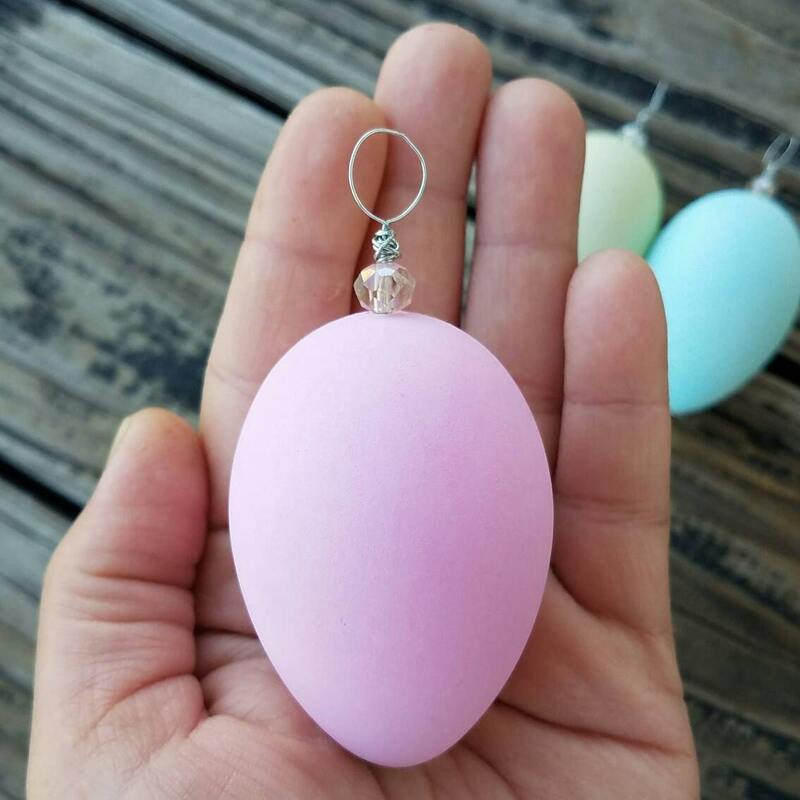 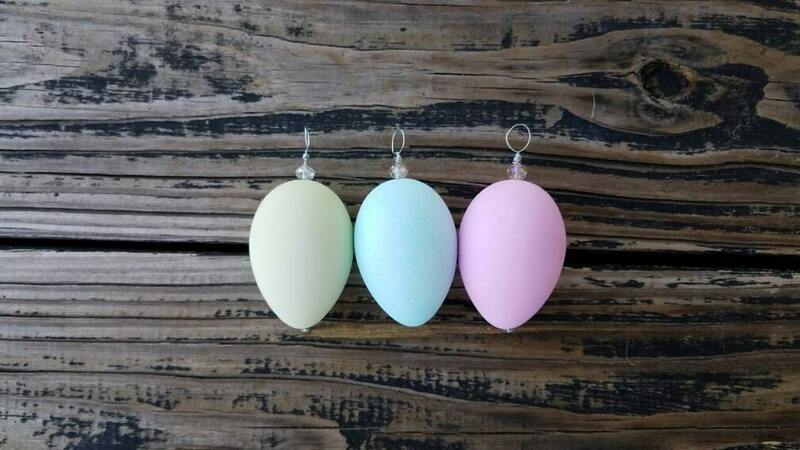 The set includes a pink,a green, and a blue egg ornament. 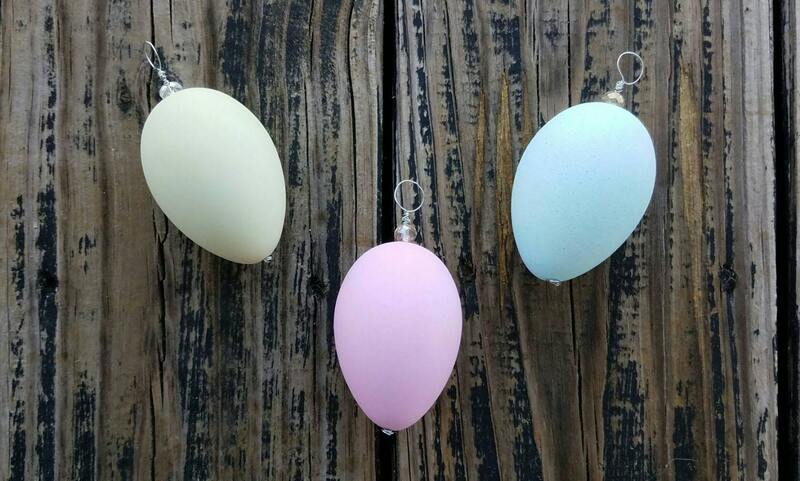 The plastic eggs measure approximately 2 1/2 inches by 1 3/4 inches. 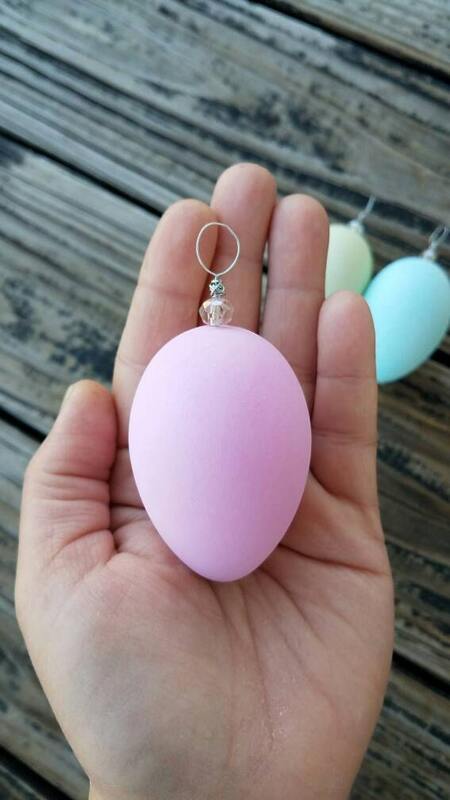 With the decorative, beaded ornament hanger the length of the egg is approximately 3 1/2 inches.